An Osterizer is a popular, 12-speed blender, according Oster.com. The blender includes a five-cup cubed canister with stainless steel blades for optimal food processing. Whether you're replacing a broken blade, or troubleshooting your blender's motor, you must be able to safely dismantle the Osterizer for repairs. Depending on the extent to which the unit is dismantled, you may end up voiding the blender's service warranty. Dismantle your Osterizer blender for maintenance and repairs. 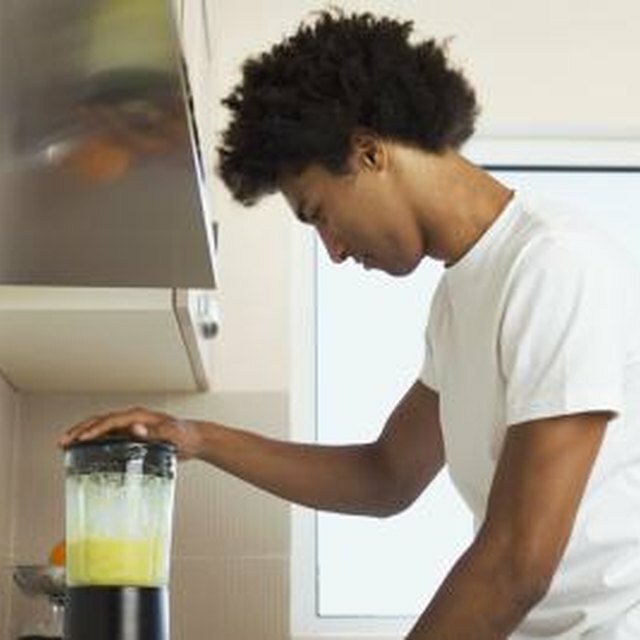 Power off the blender, and disconnect its main power cord from the nearest electrical outlet. Unscrew the main container from the base of the blender. Grasp the rubber, bottom cap on the bottom side of the container. Twist the bottom cap in the counterclockwise direction until the cap comes unscrewed from the container. Slide the seal ring off of the blender container, and set it aside. Place the blender's base upside down on a flat surface. Unscrew the Phillips-head screws from the bottom side of the blender's base. Remove the bottom casing from the blender's base, and set it aside. This will reveal the main motor, and any other electrical components.